Reedsburg Hardwoods planer department operates two planer lines with 200 feet of sorting chain and in line remanufacturing (rip/chop) capabilities. Our team of experienced NHLA certified lumber inspectors ensure our lumber is properly inspected and manufactured. We are able to grade and sort on NHLA guidelines, or customer proprietary specifications, and offer several length and width sorts to meet our customer’s needs. 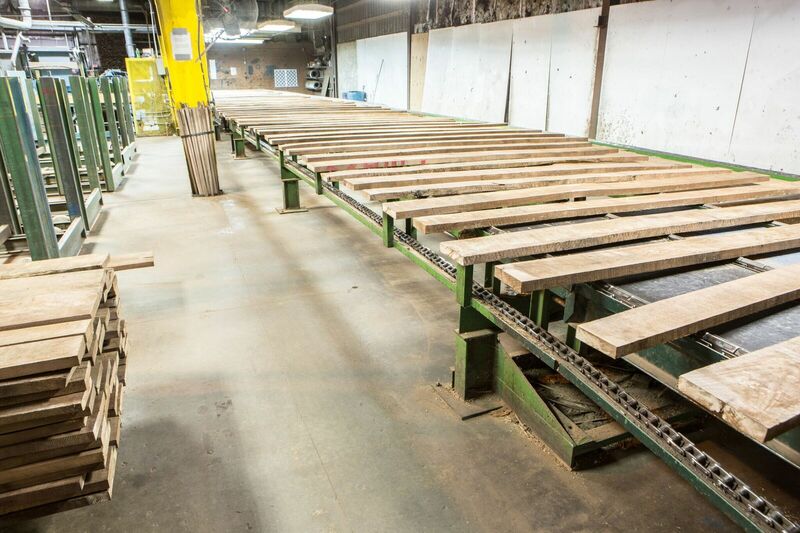 Our lines produce and sort both rough and S2S lumber. We also have Straight line ripping one or rip two edge capabilities. We tally all of our lumber with the Vision Tally system to ensure the most accurate and efficient end tally from both ends of the pack. Our lumber then goes to our paint booth to end paint both ends of the pack with our Midwest Blue paint as the final stamp of quality.